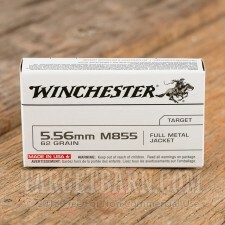 Load up your AR-15 with Winchester mil-spec ammunition for an authentic target shooting experience. 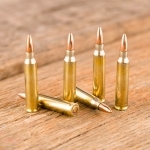 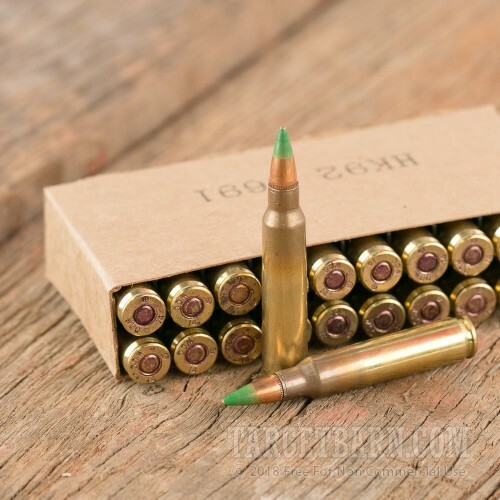 These cartridges fire a 62 grain full metal jacket bullet at a muzzle velocity of 3,000 feet per second. 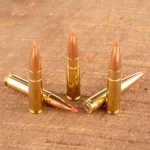 These projectiles deliver superior accuracy at extended ranges thanks to their boat tailed profile. 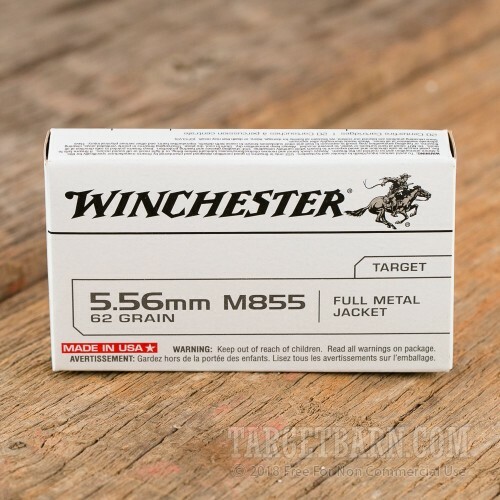 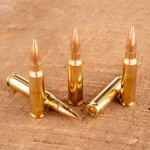 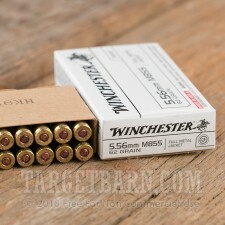 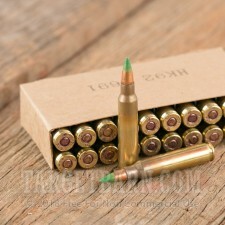 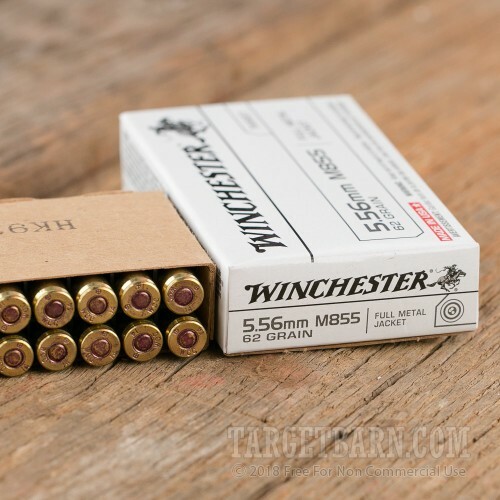 In accordance with M855 specs, this ammo has a green painted tip and brass cases with visible annealing. 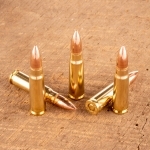 It uses non-corrosive Boxer primers.